A painting by the anonymous street artist Banksy was destroyed the moment the auction hammer announced the sale to the highest bidder for more than one million dollars, on Friday, October 5, 2018. Sotheby's House, a famous Art Auction House company, said in a statement that the minute the artwork entitled "Girl with Balloon" was sold, it suddenly went through a shredder hidden inside the frame of the painting. The destruction of one of Banksy’s most famous works came after it was sold for one million four hundred thousand dollars ($1.4 million). Bansky is internationally famous for his controversiality and politically provocative graffiti art. His open-air murals inside Gaza, painted in 2015, intended to draw attention to the plight of the people inside the Israeli West Bank Barrier. He said, “Gaza is often described as ‘the world's largest open air prison’ because no one is allowed to enter or leave." Banksy added, “but that seems a bit unfair to prisons—they don’t have their electricity and drinking water cut off randomly almost every day,” he added. 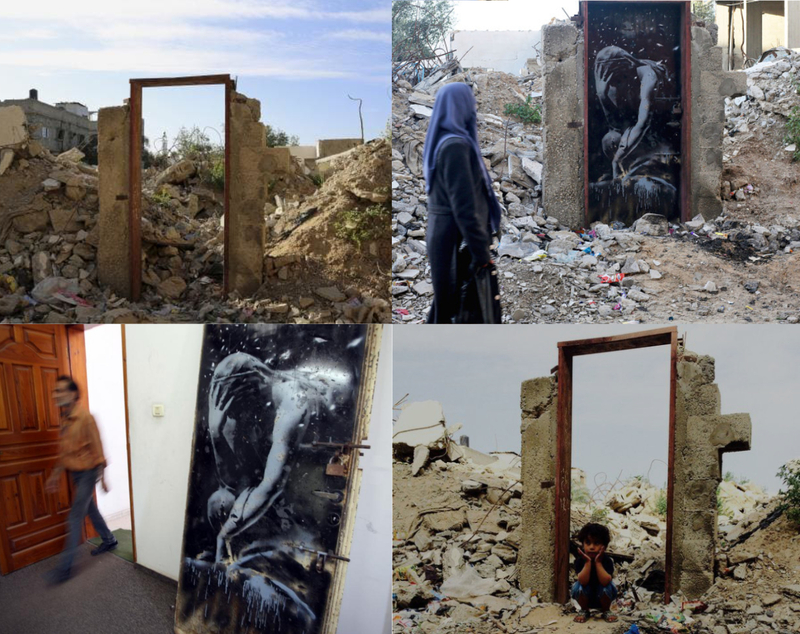 One of Bansky's famous murals "Weeping Goddess", which he painted on a door of a bombed Gazan house, was bought by Belal Khaled, a Gazan artist, who paid the house owners an amount of $175, who later claimed that they were duped, as they didn't know the real worth of the painting. A original Banksy is worth hundreds of thousands of dollars. The incident on Friday has been perceived as an ironic twist to the destruction of a "Girl with Balloon", Sotheby’s stated. The prank has instantly marked the first in auction history where a work of art automatically shreds itself "after coming under the hammer,” the Guardian reports. “This is now part of art history in its shredded state and we’d estimate Banksy has added at a minimum 50 percent to its value,” said MyArtBroker’s Joey Syer, according to the Guardian.